How Much is the Plan Paying, and How was the Price Decided? Reference Based Pricing is a method of paying hospitals and other medical facilities based on a standard reference point, in this case Medicare. 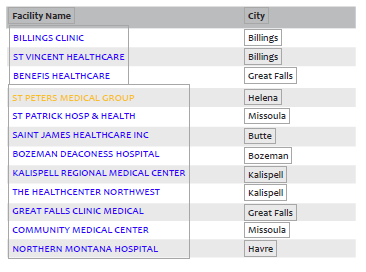 Reference based pricing closes the gap in how much different hospitals in Montana charge for the same services and saves MACoHCT and our participants money. Why use Medicare as a reference? Medicare is the largest healthcare payer in the country. It gives us a relatively consistent way to compare facilities because all facilities accepting Medicare are measured in the same manner. Medicare’s calculation process is also publicly available. Why are we moving to a Medicare Reference Based Pricing program? How does Reference Based Pricing affect MACoHCT Plan Participants? If you have a service at a Participating hospital, your benefits will function exactly as they do now. You pay your deductible and coinsurance and the Plan pays a fair amount based on a market analysis on your behalf. If your service is at a non-Participating hospital, you pay the same deductible and coinsurance you pay now and the Plan pays the same fair, pre-determined amount. This amount is being accepted by other comparable facilities, but a Non-Participating hospital reserves the right to send you a bill for more. This is called a balance bill. It is completely your responsibility to pay and does not count toward your deductible or max out-of-pocket, thus providing you with an incentive to go to a Participating hospital. How does this impact professional providers? Almost all professional providers in the State of Montana are contracted on a Medicare type (Reference Based Pricing) – Fee Schedule structure so they already accept this form of reimbursement. There will be no change in processing the professional claims or in the Explanation of Benefits (EOB). If a professional provider is employed by a Non-Participating hospital, they will be paid the same way they always have, but the hospital does reserve the right to balance bill the patient. What if I go outside the state of Montana? Services outside the state of Montana will be subject to the Cigna network. 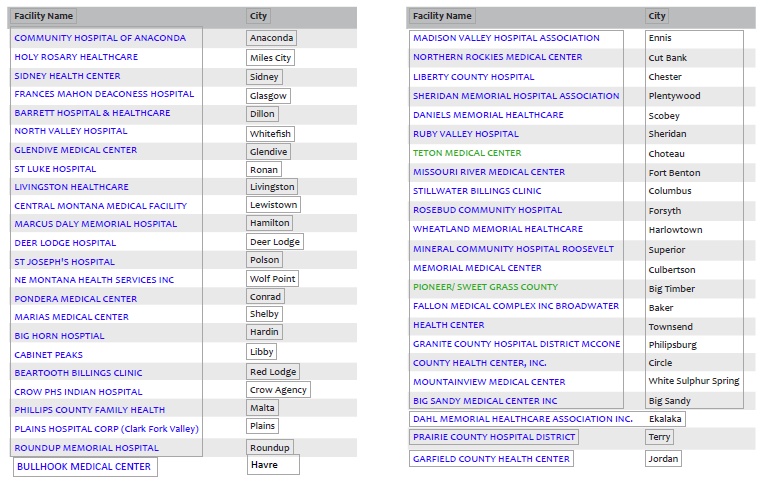 Visit www.askallegiance.com/ProviderSearch to see a list of Cigna in-network providers and facilities. What if a member needs emergency services? If you have an emergency medical need, go to the nearest emergency facility! The reimbursement rate for emergencies has been set at a higher amount that will cover what facilities in Montana charge for emergency cases. If a Non-Participating facility tries to balance bill you for an emergency, please contact Allegiance. They can help you negotiate that bill. If you are admitted to a Non-Participating facility, please contact Allegiance right away. A case management nurse will help you get transferred to a Participating facility as soon as you are stable.